+ 7 = 14 Required Please enter the correct value. December saw a 9% drop in the Dow Jones Industrial Average, its worst December since the Great Depression. Although the markets have since recovered, dips like these should always remind investors to seek ways of hedging risk. Let's talk about what this means for you and why you should begin looking at the best dividend-paying stocks to buy in 2019. At some point, the longest bull market in history will end, but dividends will continue to pay no matter what the stocks do. 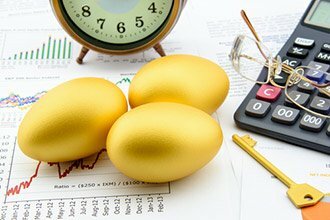 Knowing the top dividend-paying stocks can maximize your earnings, even in seasons of downturn. These stocks are not just income producers. They boast both high yields and significant share price growth potential, as determined by the VQScore, Money Morning's proprietary valuation metric. Here are our top three dividend stocks, including the one that could double your money. Best Dividend-Paying Stocks to Buy, No. 3: BlackRock Capital Investment Corp.
Our first recommendation for high-income stocks is BlackRock Capital Investment Corp. (NASDAQ: BKCC), a business development corporation (BDC) and subsidiary of the biggest asset manager in the world, BlackRock Inc. (NYSE: BLK). BDCs are in the business of lending to businesses worldwide, which can lead to whopping cash flow. BKCC may be one of Wall Street's hidden bargains. Its portfolio promises a consistent stream of income to shareholders through senior secured debt, equity investments, unsecured debt, and subordinated secure loans. The current dividend yield, 11.48%, is very high. It's getting attention from leading institutional investors such as Mackenzie Capital. In fact, Mackenzie recently hiked its position in the BDC to 73%. Another firm, Telemus Capital, boosted its position last quarter by more than 44%. Only two analysts cover the stock right now, which means it's flying under the radar on Wall Street. But it's lighting up our stock rating system. BKCC enjoys a perfect VQScore of 4, indicating the company is profitable and poised to grow. Investors in BKCC can sit and profit from a steady 11% yield and hold the stock until it rises. The world's senior population is increasing rapidly. Companies benefitting from this growth are undoubtedly worth the investment. Senior Housing Properties Trust (NASDAQ: SNH) is a healthcare real estate investment trust (REIT). It owns 443 properties nationwide, housing medical offices, senior homes, and managed senior housing properties. With the number of people over age 85 expected to soar in the next two decades, the demand for housing for senior citizens will also. Senior population boom aside, healthcare is a reliable field for earning. In a recession (which is projected to arrive sooner rather than later), people may cut a number of things from their budget – travel, luxury goods, and even some ordinary consumer goods – but healthcare expenses will keep getting paid. The credit rating is the lowest given for investment grade. Leverage and the possibility of climbing interest rates present some other potential risks. But the positives far outweigh the negatives here, and the Fed sounds less likely to raise interest rates than reports initially suggested. This income stock has the potential to return double digits in a climb. Analysts at B. Riley FBR Inc. estimate that the shares will trade at $21 a share in 12 months. That's almost a 50% profit from the current $14.01. The current yield is 11.20% on a dividend of $1.56 per share. SNH also has a perfect VQScore of 4, which means it will be propelled by significant profits. Both BKCC and SNH are poised to return impressive gains to investors, as well as healthy yields. But this next dividend stock could even surpass them, with returns in the triple digits.